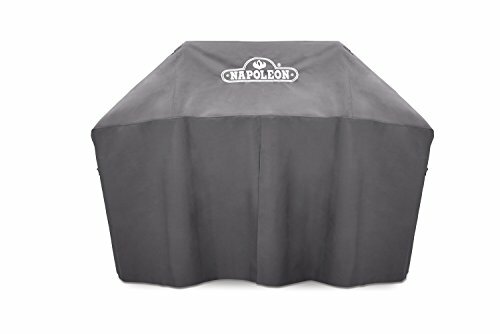 The PVC Polyester Cover for the 665 Series Freestanding Grill from Napoleon offers a heavy duty grill cover for your BBQ grill. The high quality PVC polyester construction features UV protection to prevent sun damage while also protecting against the elements and keeping your grill in great shape. A 3-inch ventilation strip helps prevent moisture build up while the unique design is specially fitted for the 665 freestanding gas grill.